Churros with Chocolate sauce is an addictive Mexican dessert. Churros are fingers or loops of sugar coated fried pastry dough that is usually served with cups of hot chocolate. 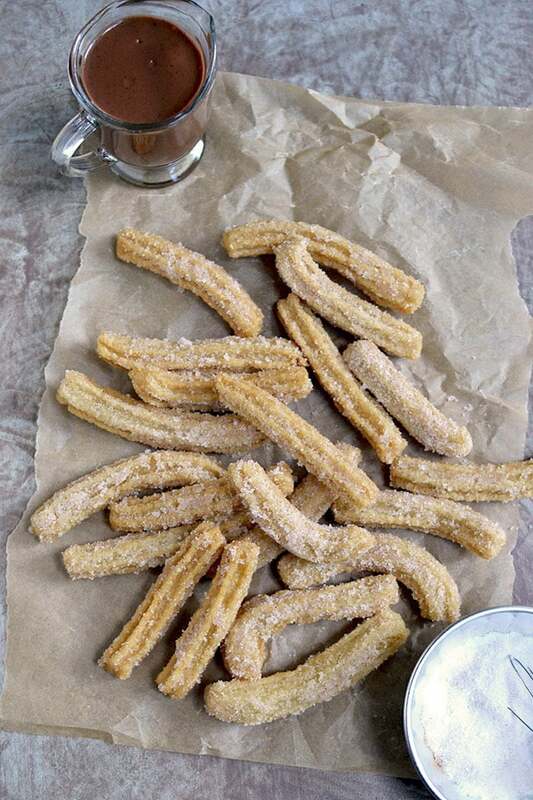 Here’s a vegan version of churros. Tostones or fried green plantains are popular Cuban snack. These crunchy slabs of fried plantains make a very addictive snack or appetizer when served with lightly salted or with a garlicky mojo sauce. 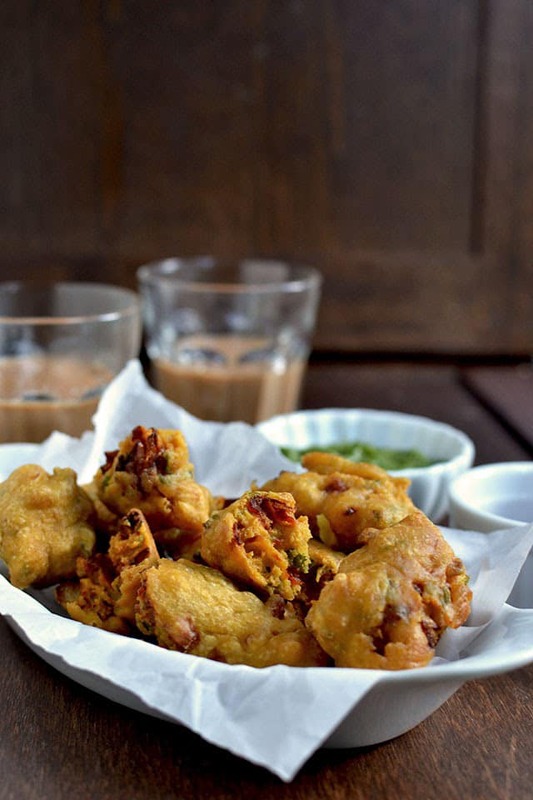 These double fried pakodas from Sindhi cuisine are extra crispy and yummy. Perfect to munch with a cup of tea. 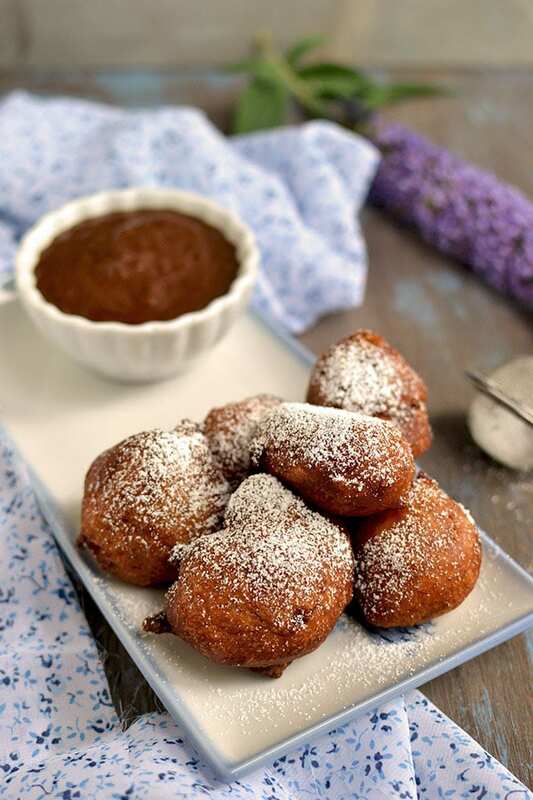 Banana doughnuts or Beignets (vegan recipe) served with chocolate fudge sauce — these airy and delicious donuts are very addictive. 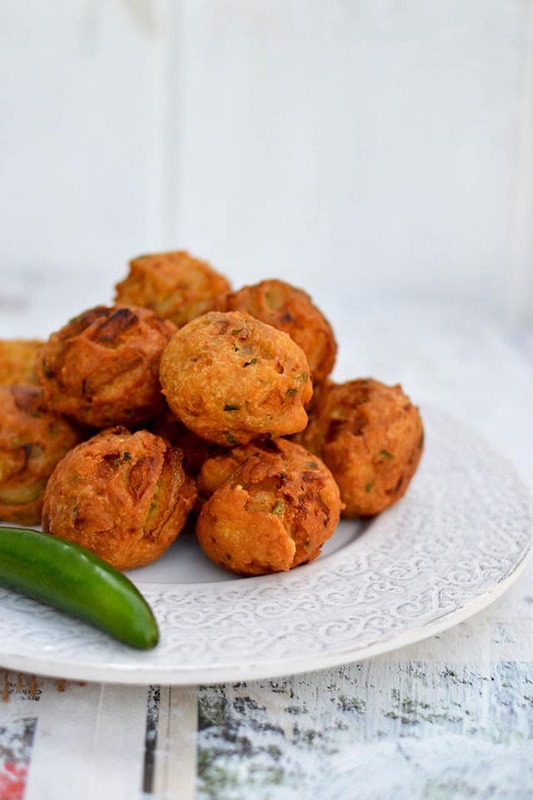 Patnam Pakodi is a deep fried snack that is great to serve with tea as a snack. 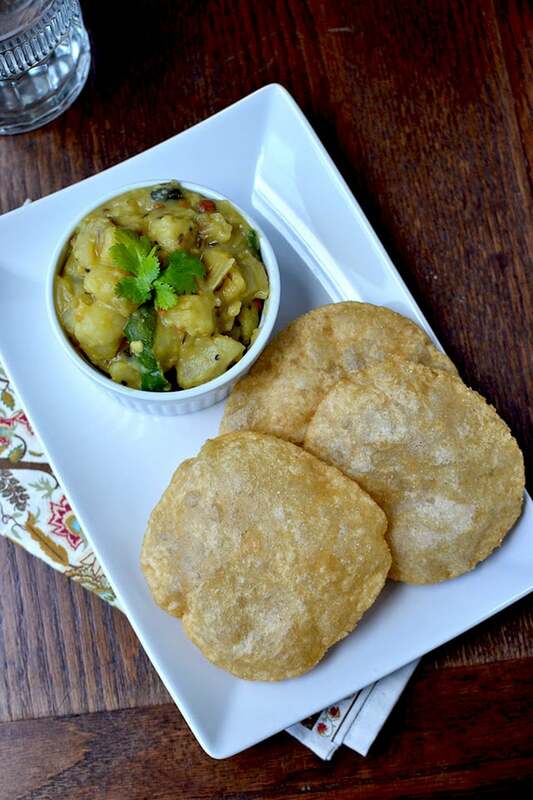 Poori with aloo curry is a classic combination and is great to serve for breakfast, lunch or dinner. Sweet & savory banana buns from Mangalore (in Karnataka). 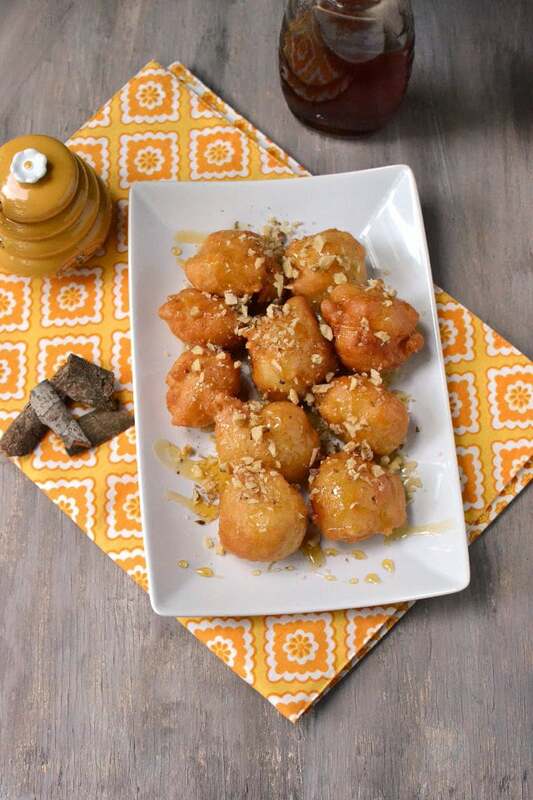 But these are not the typical yeast based banana buns or rolls, instead they are deep fried pooris made with a banana base dough. 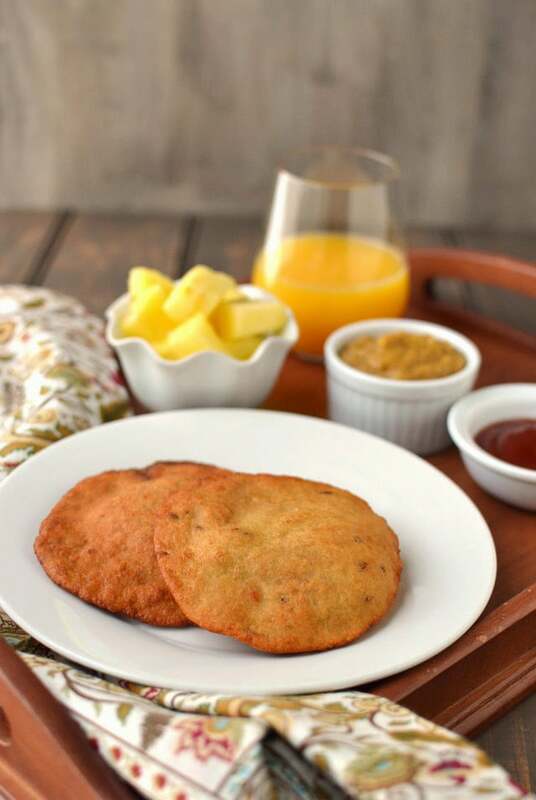 These buns are typically served for breakfast with a spicy chutney, curry or tomato ketchup. 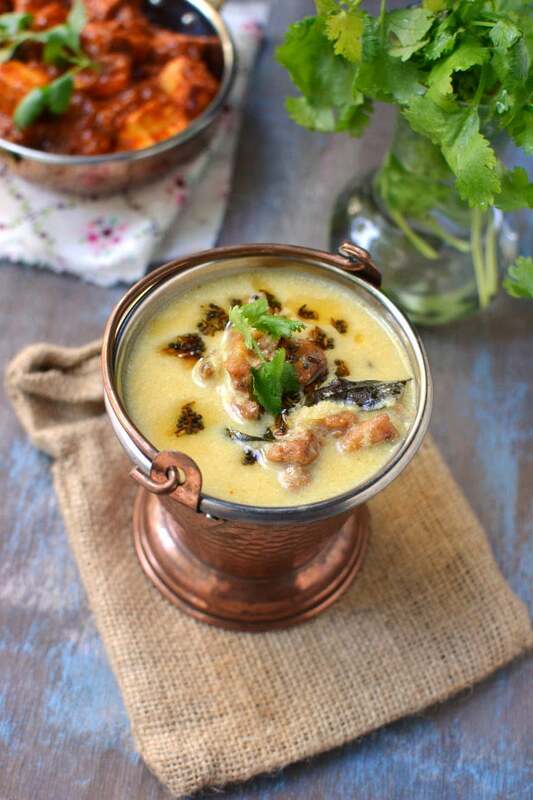 A traditional dish from Punjab — Creamy kadhi with yummy pakodas. 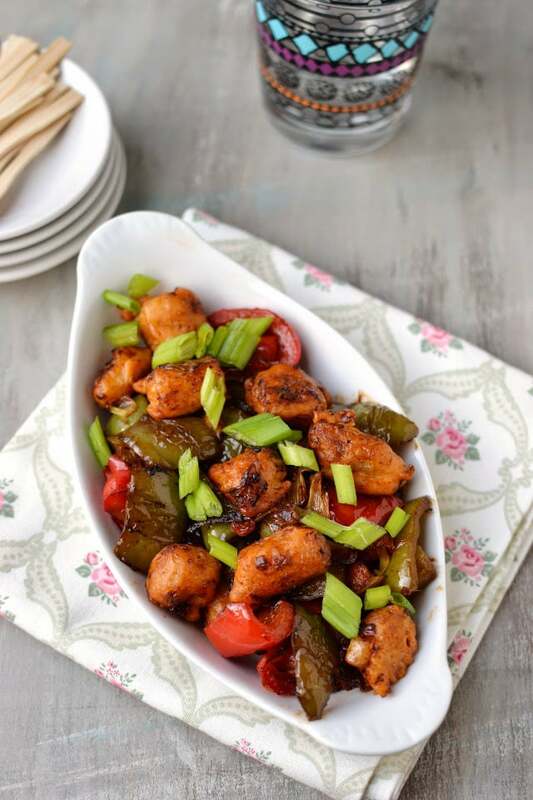 A hearty and comforting dish for any time of the day.